Today has been a rather melancholy and solemn day for me. When the anniversary of Jane Austen’s death comes up every year, I rarely mark it on AustenBlog or anywhere else (though I did this year). To me, it’s not something to be celebrated. If Austen had lived her full threescore and ten or more, had written a couple dozen books, had lived a life long and full and successful, I think I would feel differently. But her early death makes me angry. It’s so unfair: to Jane herself, of course, who died just short of real success in her chosen career; to Cassandra and her family, who loved her so; and yes, for myself and her fans, who were cheated out of perhaps a dozen or more Jane Austen novels. Who knows what heights of artistry she might have attained? Or how many darn good stories she would have told? 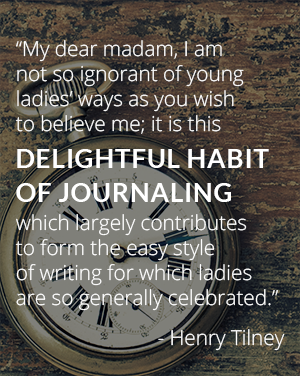 I want to share something that I wrote for Jane Austen Cover to Cover as a personal note at the end of the book. I included the cover of my first copy of Emma, which was my introduction to Jane Austen’s work, and the story not only of that first Austen but how she has changed my life, because she did, literally, change my life. Sometimes the most insignificant things lead to the most unexpected and glorious places. Like Mr. Darcy’s love for Elizabeth Bennet, “I cannot fix on the hour” more precisely than sometime in the early 1990s, but I found myself in a mall drugstore, facing the mass market paperbacks rack, looking for something to read. Nothing appealed, until a paperback caught my eye with an image of a smiling lady in a white gown and a big green bonnet: Emma by Jane Austen. I had recently been reading and re-reading some Victorian novels, particularly those by the Brontë sisters, and I was drawn to this book by the pretty painting. Various people had been telling me for years that I should read Jane Austen, and the decision was made. The sticker on the cover for $2.00—the book was marked down for clearance—might have been persuasive, as well. I took the book home and read it, and liked it. A little while later, I was in another bookstore and purchased a copy of Pride and Prejudice, which I also liked. A little while after that, I was in yet another bookstore and purchased a copy of Persuasion, and then I fell in love. I read Austen’s other three novels, and biographies of her life, and works of criticism. Not long after, the mid-1990s spate of Austen film adaptations fed my new obsession. I started writing about Austen on the Internet. I joined the Jane Austen Society of North America. I started a blog. I wrote some books. These things were all a direct consequence of my purchase of that two-dollar paperback. I can say with some confidence that it changed my life. Jane Austen is powerful, and she can do that; she has done it for others beside me. Thank you, Jane, for everything. And now on to the 250th anniversary of Jane Austen’s birth, which will truly be a celebration. I promise I will be more cheerful on December 16, 2025.